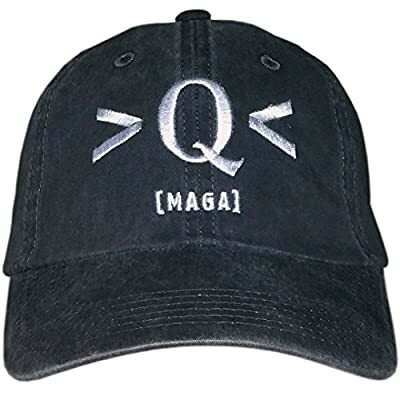 For the followers of QAnon, we now have several hat style choices and designs to express your loyalty and love for "Q." Go a little bit deeper in showing your support to break-up The Establishment and RECLAIM your country once and for all! We have taken your flag! Trust the plan. *Please see our other hat options that are made in the U.S. 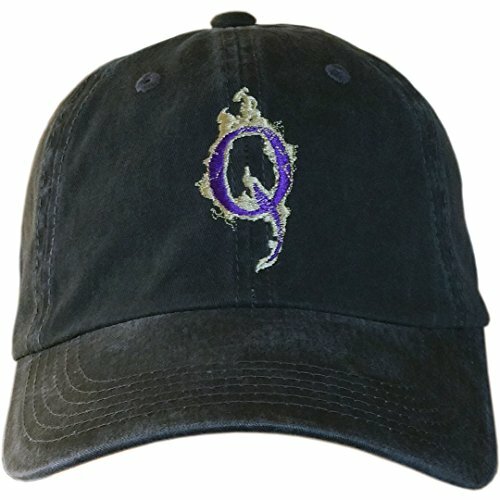 This particular hat is NOT made in USA; however, it is designed & embroidered right here in the heart of America, Batavia, OH **Computer monitors are all different therefore color shades MAY vary slightly. 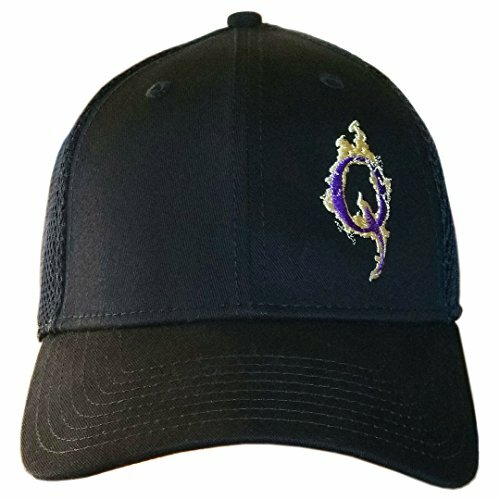 2017 Treefrogg Apparel/Treefrogg Specialties, Inc.
Our >Q< [MAGA] and two other custom "Q" designs, WWG1WGA (Where We Go One, We Go All) and our "Trump for Justice" design is embroidered on several hat style choices. "Treefrogg" brand logo on back of each hat in..a subtle and classy way authenticating your purchase of a Treefrogg hat. BEWARE of FAKE SELLERS! Treefrogg Apparel (or TREEFROGG) is the EXCLUSIVE owner, producer & distributor of TREEFROGG brand (our logo is on our hat backs). The ONLY name by "Ships from and sold by" should be Treefrogg Apparel. FRAUDULENT Sellers copy & steal OUR photos & descriptions...if you order OUR hats from anyone other than TREEFROGG, you'll receive a hat w/ a GLUED-ON STICKER, or NO HAT AT ALL. SEE BELOW of how to get to TREEFROGG APPAREL's page. TO GO TO TREEFROGG APPAREL...click on TF Apparel LINK at TOP of page. Because these fraudulent sellers steal our entire pages when they attack, you can use this link to take you to ALL of Treefrogg's AUTHORIZED products where you can purchase them safely. We've worked w/ Amazon to try & fix this but fraudulent sellers are allowed to remain active while WE prove OUR products to be OURS. All Treefrogg items are custom-designed & embroidered by Treefrogg Apparel in Batavia, OH WANT MORE USA-MADE STYLES? YOU CAN HELP! This particular hat is NOT American-made...BUT we want to add as many more USA-Made hats to our inventory as we can. However, many of our popular styles are not available in American-made options.If you ever find USA-Made styles similar to any of our non-American options, please let us know & we'll consider adding it. NOTICE: RESALE OF THIS COPYRIGHTED ITEM, IN ANY LOCATION, IS STRICTLY PROHIBITED. © 2017 Treefrogg Apparel/Treefrogg Specialties, Inc.